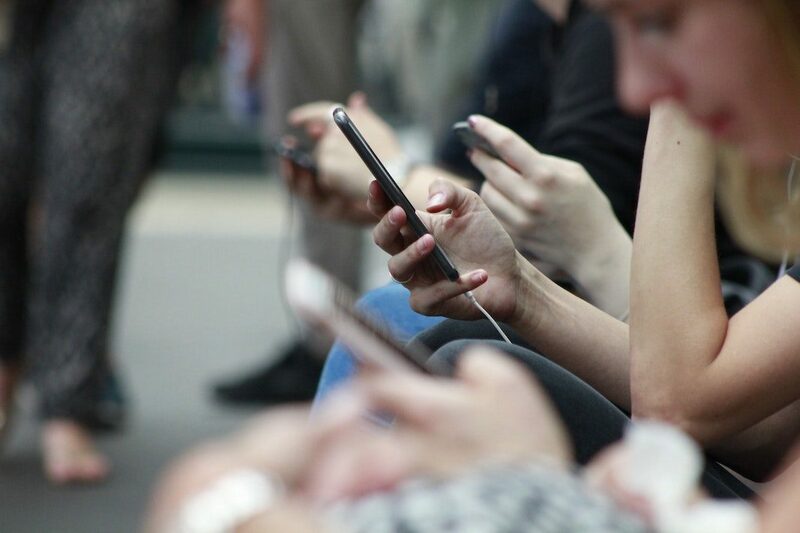 Consumers, on average use five to six touchpoints before making a purchase – and for those multi-device shoppers their commerce journey starts and ends on smartphones. How do retailers solve for these five challenges? Filling out transaction forms with addresses and credit card numbers often leave shoppers weary – over 60% of consumers won’t complete a purchase if the site is missing a trust logo. Therefore, in addition to the SSL certificate, retailers’ transaction forms should include well-known and trusted security logos clearly visible and close to transaction forms. Retailers’ product pages should be more focused on the details that matter to the target buyer versus keyword priorities. Retailers need to provide as much detail as possible and have it read simple enough for anyone to fully understand. Product description pages need to include: product measurements, available colors, model or item numbers, photos and videos. The feature image of the product also serves as the first impression to the shopper, so making the investment in high-quality imagery is important. There should also be more than just one photo, including a gallery of images, as well as any potential 360-degree shots gives shoppers a full glimpse at what the product really looks like. Detailed descriptions rank higher in influencing a customer’s decision to purchase over reviews and price. Since reviews are also valuable to converting shoppers, having them accessible on the product page can assist with conversion. 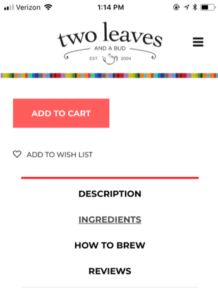 Two Leaves does a great job of this, by having the product description, ingredients, how to brew and reviews all within the product page and right next to the “add to cart” button. 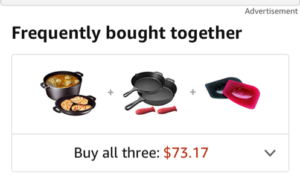 Product pages also offer the retailer an opportunity for up- and cross-selling as Amazon does so well with their “frequently bought together” feature. A step in the consumer journey that is often overlooked is the consumer’s desire to compare products; and it’s typically lumped in with search or navigation as an afterthought when mapping this out. 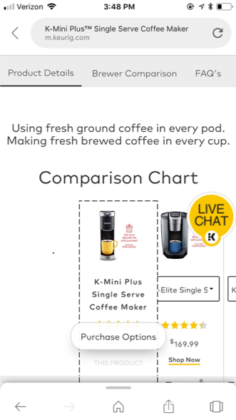 Keurig offers a straightforward comparison table and it is also visible right from the mobile navigation with product details and FAQs. Keurig also ensures the “live chat” feature is available front and center during this phase of the journey – providing added assurance that all mobile site visitors’ questions can be answered in a timely manner. Good mobile navigation is imperative in the customer journey – and it is not to mirror desktop. The more scrolling a mobile user has to do the more likely they are to bounce. Common practice is to collapse the mobile menu within three horizontal bars aka the “hamburger” icon. Mobile navigation must be quick and intuitive, while informing visitors and providing shortcuts to the areas of the mobile site that matter most to them. L.L. 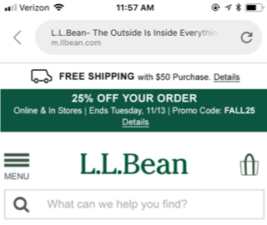 Bean provides clear navigation within their mobile header by offering the hamburger, hyperlinked logo to bring users back to the home page, shopping bag and direct upfront search bar. The hamburger icon opens up to reveal the organized navigation options. “Call us” and customer service are also clearly displayed and accessible for users. Retailers must prioritize navigation options while keeping it short and sweet and designed for touch. 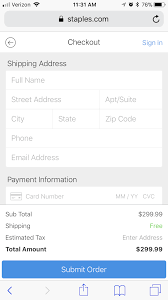 Navigation shouldn’t mirror desktop, neither should the mobile checkout process with forms and fields. Mobile involves planning for the “thumb zone” and ensuring all the necessary functions needed via touch are within proximity of where a user’s thumb would be on the device. 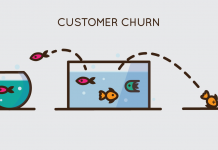 The checkout and form completion phase of the customer’s journey is also not the time to try to up- or cross-sell. This phase needs to be as frictionless as possible or retailers run the risk of mobile cart abandonment. Checkout also needs to be a simple one-page form, no images and descriptive text. 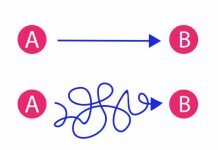 Staples is a great example of this and because of the simplicity of the page, mobile loading time won’t be an issue. Address the most common reasons why users don’t convert on mobile and you should end up with a fairly effective mobile baseline. You can start improving on further details from there. The five reasons: security concerns, unclear product details, inability to open multiple browser tabs to compare, difficulty navigating, difficulty inputting information. PS. And don’t be afraid of making everything larger on mobile. It may be tempting to be able to show more on a screen but it’s better to show more clearly than more at once. Trust me, I’ve tested it many times.